Heroin is a highly addictive derivative of opium, that produces intense feelings of euphoria, when administered in sufficient dose. For almost a century, heroin was administered almost exclusively by injection (intravenous). However, in the 1990s the purity of heroin reached very high levels, making other modes of administration e.g., snorting or smoking practical alternatives. Intravenous (IV) heroin use remains the primary method of administration. But why? Because IV heroin use delivers the biggest bang for the buck. It also delivers a unique “flash sensation.” Something like a surge of warmth, quickly followed by total relaxation and a feelings of contentment and wellbeing. Within a few hours the pleasurable effects wear off and the heroin user develops a strong urge to use again. This urge, “to use again and again” is why heroin is considered the one of the most addictive drugs in human history. And once addicted, seeking and using heroin becomes their primary purpose in life. How do heroin addicts die? Heroin addicts’ lives are typically cut short by one or more of six causes: heroin overdose, liver disease, cardiovascular diseases, cancer, accidents and homicide. It is also common for heroin addicts to contract rare infectious diseases such as endocarditis, which is an infection of the inner lining of heart valves or heart chambers. Endocarditis occurs when germs from a dirty needle or germs within the heroin itself, enter the bloodstream, travel to the heart, and attach to abnormal heart valves or damaged heart tissue. 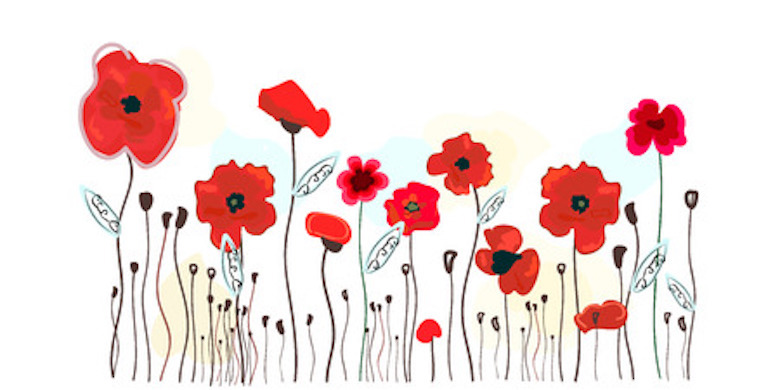 Heroin originates from opium poppies, but not directly. 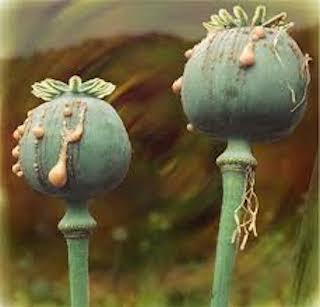 As opium poppies flower, the seed pods fill with codeine- and morphine-rich sap. About one week later, the encapsulated sap ripens and is then ready to be extracted. The extraction process typically begins in late afternoon, and is usually accomplished by vertically cutting the exterior side walls of the seed pods. This technique enables the sap to seep out overnight without drying or coagulating. As the sap seeps out it comes in contact with oxygen, which turns its color from white to pink to dark brown. The following morning the sap should be brown to black in color, which indicates that it’s ready to be harvested. After harvesting it’s cleaned and dried, and made into “Opium.” Most opium is about 10-14 percent morphine by weight. In places like Afghanistan and Mexico, where the drug trade thrives, morphine is mixed with acetic anhydride and boiled to make heroin. Regardless if a heroin user sniffs it, smokes it or injects it, as it permeates the brain it attaches to tiny proteins atop nerve cells called receptors. Scientists have found three receptors that respond to heroin: mu (μ), kappa (κ) and delta (δ). These receptors are called opioid receptors and each type plays a different role. Since mu (μ), kappa (κ) and delta (δ) receptors are the first known opioid receptors, they are commonly referred to as the classical opioid receptors. mu (μ) opioid receptors (MOR) – the mu receptor is the main “heroin receptor.” Throughout the body these are the most abundant opioid receptors and they’re directly responsible for heroins’ pleasurable effects, acute pain relief, physical dependence and addiction, but also sedation, respiratory depression, slow heart rate, nausea and vomiting as well as reduced gastrointestinal motility. kappa (κ) opioid receptors (KOR) – the kappa receptor is responsible for heroin’s anxiolytic effects, trance-like states, physical dependence, and addiction, but also spinal analgesia, and dysphoria (in some). delta (δ) opioid receptors (DOR) – the delta receptor is responsible for heroin’s relief from persistent pain, reduced gastrointestinal motility and modulation of mood. Heroin is an extraordinary drug because it binds to and activates μ-mu opioid receptors, which are the most prevalent and powerful opioid receptors in the brain and body, and the receptors most responsible for heroin’s effects. Heroin’s effects not only depend upon which type of opioid receptor it activates, but also the area of the nervous system in which they’re activated. Three of the most affected areas are the limbic system, which is in the forebrain; the brainstem, which is the bottom-most portion of the brain; and the spinal cord, which is a thin tube of nerves that extends from the base of the brainstem downward. These areas are not the only places you’ll find opioid receptors, but they have the most opioid receptors, and also produce the greatest effects. Limbic System – When heroin attaches to opioid receptors within the limbic system it creates feelings of pleasure, relaxation, and contentment. 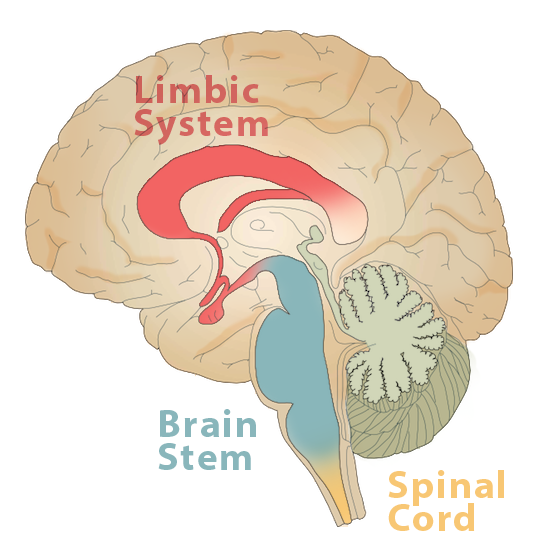 Brainstem – Underneath the limbic system is the brainstem. It connects the forebrain with the spinal cord. When heroin attaches to opioid receptors in the brain stem it slows breathing, inhibits coughing, and reduces pain. Spinal Cord – When heroin attaches to opioid receptors within the spinal cord it reduces pain. Chronic heroin use changes your brain. Scientific studies have shown that heroin use can deteriorate your brain’s White Matter, which may impair your decision-making abilities. 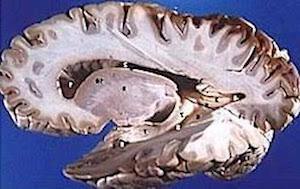 The evidence also suggests that duration-of-heroin-use was the primary factor in White Matter injury. We know now that heroin use creates long-term imbalances in your nervous and endocrine systems that are not easily reversed. Some of these changes are primary factors that lead to heroin dependence and heroin withdrawal. Heroin does some strange things to your body. It makes your pupils smaller, your skin itchy, and your stomach nauseous. It’s also a powerful sedative. Consequently, the great danger is vomiting while you’re asleep. Pinpoint pupils and itchiness are two of heroin’s most obvious signs that a person is using heroin. If you look closely at a heroin user’s eyes you’ll notice two very small pupils, even when indoors. Heroin addicts use the term “pinned” as in “you’re pinned, he’s pinned, she’s pinned,” to acknowledge that someone is high on heroin. You may also notice that heroin addicts have a tendency to scratch their nose. In fact, itchiness is so common among heroin addicts that they often joke about it. One of heroin’s worst after effects is constipation. This problem often leads to hemorrhoids. Constipation develops because heroin slows down the transit time of food. Motility is slowed because of delayed gastric emptying of the stomach, reduced peristalsis, and decreased gastrointestinal secretions. The result is hard stools. The potential hazard of chronic constipation (hard stools) is colorectal cancer, which is one of the most common cancers, having a deep impact on the health of society. One of the most important findings is that opiate abusers with colorectal cancer have a much higher rate of mortality as compared to the general population, 25% vs 10% respectively. One hypothesis is that opiate abusers do not notice the symptoms of colorectal cancer, until the cancer is much further along. Delay in seeking a medical examination is primarily attributed to opiates being painkillers, so they don’t notice it. But also because users grow accustomed to chronic constipation and discharging blood, i.e. it’s not that big of a deal as compared to opiate withdrawal, which is the addict’s primary problem. Dependence to heroin is a medical condition whereby withdrawal symptoms develop whenever the addict stops using. When a heroin addict tries to quit, they develop pain in their muscles and bones, get the chills, throw up, and feel weak. The response to withdrawal is a very strong urge to take the drug again, basically to feel better. In reality, the heroin addict lifestyle is a never-ending journey of overcoming the negative effects of withdrawal. The following treatment options are typical heroin addiction recovery strategies. Primary Care: 30-days or less residential treatment that generally combines behavioral and cognitive therapy. Long-term Care: 31-days or longer residential or outpatient treatment services that generally combines treatment and recovery planning. The likelihood that a drug will lead to addiction is linked to the speed with which that drug promotes dopamine, the intensity of dopamine effects and the reliability that dopamine effects will occur. Opiates like heroin, morphine and oxycodone are fast acting, produce a lot of dopamine and work close to 100% of the time. That’s why these three opiates in particular have been linked to several opiate addiction epidemics. The U.S. is currently coming out of an oxycodone epidemic and we’re currently in another heroin epidemic. The only morphine epidemic began during the Civil War and was quickly supplanted by heroin at the beginning of the 20th century. Heroin is possibly the perfect drug for manifesting drug addiction. Ironically, we now know that heroin is actually a prodrug, and as such, does not get anyone high. A prodrug is a drug that, after administration, converts into another drug. In other words, what heroin turns into, is what gets the heroin user high – not the heroin itself. We know this to be true, because there has never been a fatal heroin overdose victim who was found, during the autopsy, to have any trace of heroin inside their brain. NEVER! It is also the reason why drug screenings do not test for heroin. 6MAM has a short elimination half-life, which ranges between 6-25 minutes. Therefore, approximately 30 minutes after heroin is administered, over half of 6MAM molecules will have metabolized into heroin’s second metabolite, that is to say morphine. Morphine’s half-life is around 2.5 – 5 hours. Heroin’s half-life is considered the total of these two, and that means heroin’s half-life is a little less than 3 – 5.5 hours. The drug-effects of heroin last between one and two half-lives or 3 – 11 hours. The mean average being 7 hours. Morphine activates opioid receptors longer than all other active metabolites of heroin. Therefore, the lingering drug effects are more connected to morphine, while the acute drug effects are more connected to 6MAM, but they do overlap. The most common adverse effects associated with the heroin use include nausea and vomiting, sedation, itchiness, urinary retention and constipation. Serious adverse effects frequently reported with heroin use include: respiratory depression, hypotension and delirium. Heroin Overdose: Excessive heroin consumption may cause the brain to forget to breath. This may result in “hypoxia,” a medical condition in which there’s not enough oxygen in the blood to sustain life. 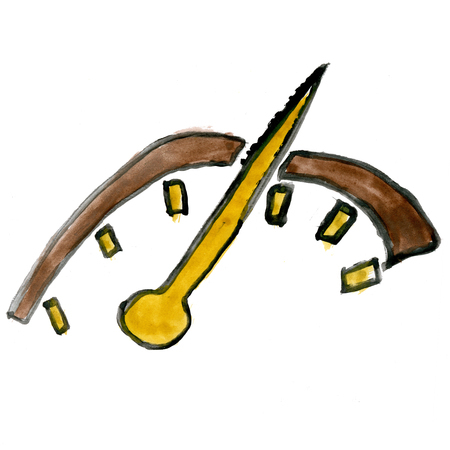 Heroin Tolerance: Needing more heroin to get the same intensity of effect. Heroin Dependence: Chronic heroin use causes physical dependence, which means that you are susceptible to withdrawal symptoms when you stop. Heroin Addiction: Heroin use can also lead to addiction, which is a tenacious drive to get and use heroin despite negative consequences. It’s estimated that almost 1 in 4 (approx. 23%) new heroin users will become addicted. Viruses: If you consider intravenous heroin use, then there are other health risks, such as contracting HIV, Hepatitis C, and Hepatitis B.